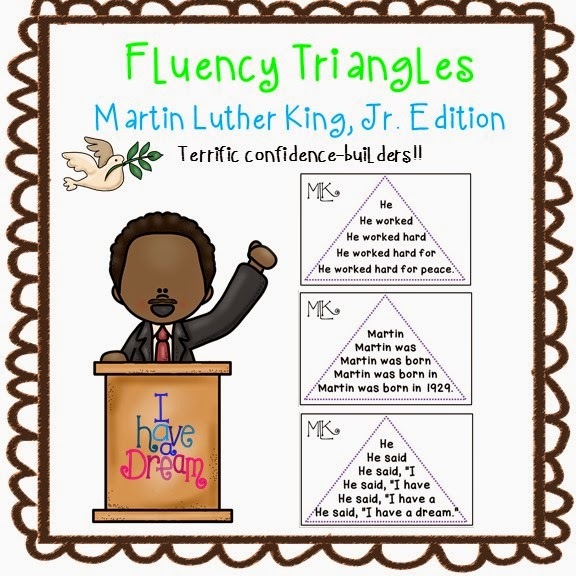 The Best of Teacher Entrepreneurs II: Social Studies - "Fluency Triangles - Martin Luther King, Jr. Themed"
Social Studies - "Fluency Triangles - Martin Luther King, Jr. Themed"
Fluency Triangles for Martin Luther King Day! I LOVE fluency triangles! My kids gain so much confidence reading them. These ones are extra special because they teach a social studies idea, too! I hope your kids love them as well!